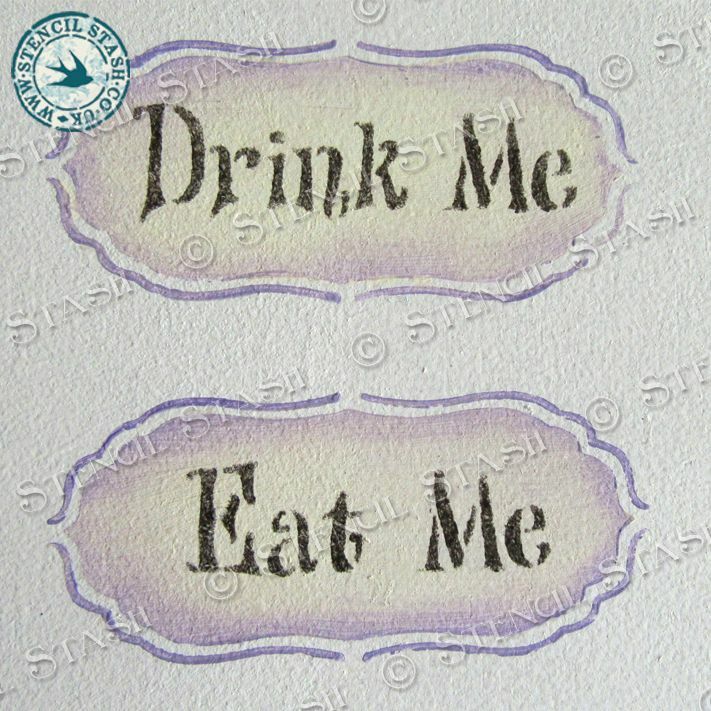 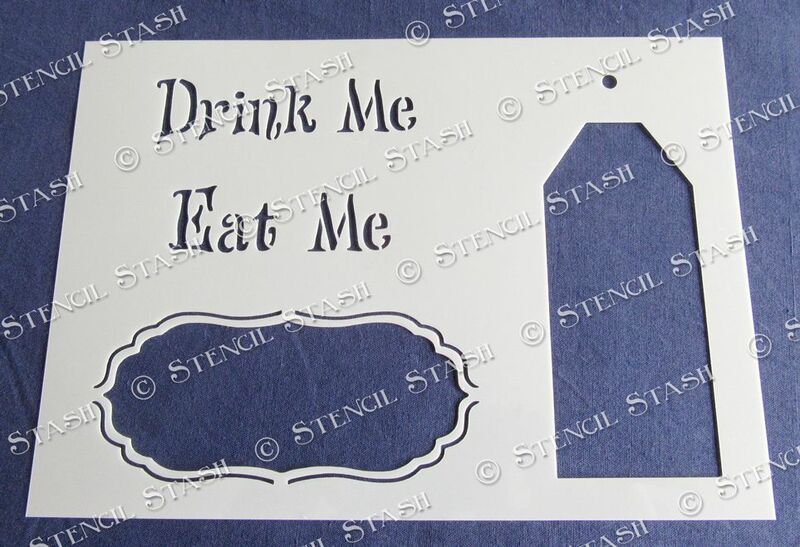 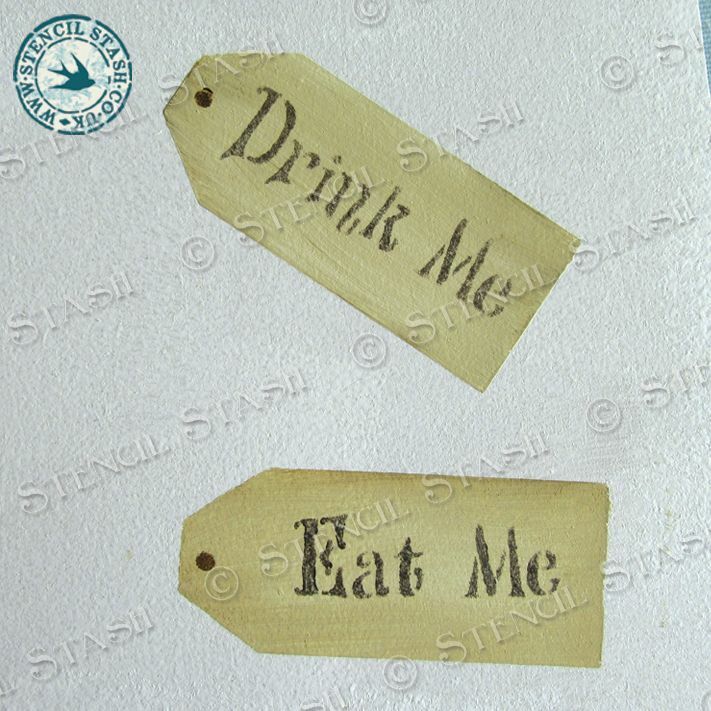 A stencil to make your own Eat Me, Drink Me labels and tags. 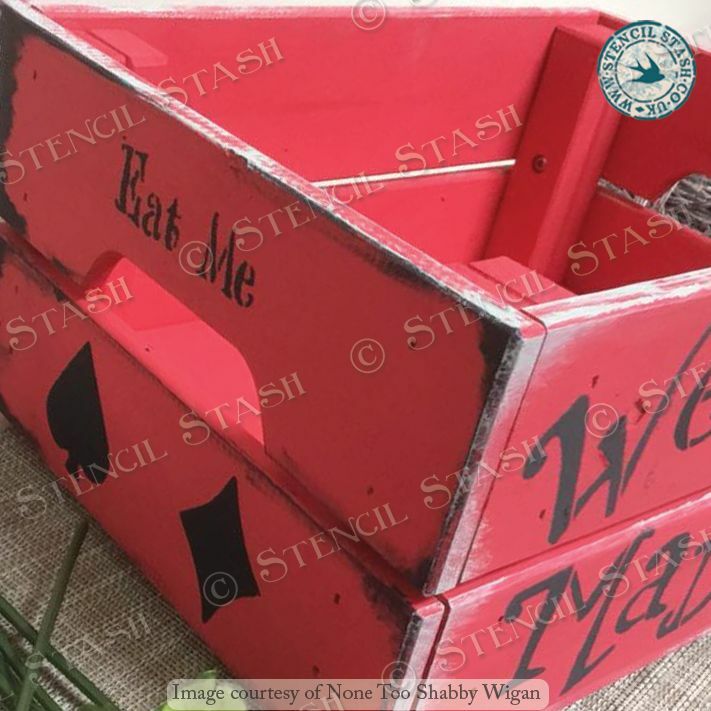 Perfect for home decor, furniture, crates and crafts. 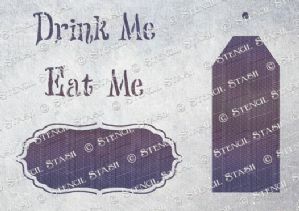 The A6 Drink Me text measures w60mm, 2.25", long tag measures 75mm, 3"
The A5 Drink Me text measures w85mm, 3.5", long tag measures 110mm, 4.25"
The A4 Drink Me text measures w120mm, 4.75", long tag measures 150mm, 6"
The A3 Drink Me text measures w160mm, 6", the long tag measures 250mm,10"